I am going to have to try your version. I am interest in the freezing of the cabbage. I bet that does work well. I just love your blog. Wow! I've gotta try the freezing part. I love cabbage rolls but hate the prep time so this would really cut down on the hassle of boiling it. Thanks for sharing! I've been making cabbage rolls the lazy man's way. I haven't ever used savoy cabbage though so will try that next time. I enjoy seeing different (new) recipes for cabbage rolls. They were one of my favorite meals growing up and they still are a comfort meal in a certain way. I also love the ease of serving them for large groups. My mil froze the cabbage too, but I have never tried it. Savoy cabbage is definetely the easiest to use. I like seeing the other variations, like the pre-fried onions. I can't wait to try this one! Thanks for posting your recipe and trick for the cabbage Lovella! That's been a long time since I've had those....They look delicious. How long did they take to make? Your cabbage rolls look wonderful! I have used frozen cabbage on occasion...would freeze heads whole from the garden just for that purpose. Oh gosh Lovella, you got me a hankering for these today. Hey, and I like the tip on the cabbage. Nothing like a good new tip to get a person all fired up to make a 'dish' again. Hmmmm...maybe tomorrow I'll have to go grocery shopping again! Thanks Lovella....and it looks just the way mom would have made it...which is a compliment of course! My mother won a prize for her cabbage rolls, but I have never made them because of the boiling prep of the cabbage. This makes it sound so much easier. What a clever trick for the cabbage! I bet that saves some of the nutrients that are lost boiling it, too! Wow!!! The cabbage rolls look amazing. I grew up on cabbage rolls. We always had them for the holidays and any special day. My mom always used pickled(sauerkraut)cabbage.Brought back wonderful memories...beautiful picture! Thanks for sharing your recipe. I love cabbage rolls but have never made them before! I am going to make them tomorrow, following this recipe! I am so excited!!! Thanks for your blog, I am loving it! Thank you Kanga. . .
good sides. . let me think. .
Crusty bread. . mashed potatoes and a fresh steamed veggie of your choice that is in season. I also like a crisp green salad. The mashed potatoes and the cabbage rolls are soft comfort food that need a bit of crispness to balance the tastebuds. MMMM, I haven't had breakfast yet and now I want these! I buy cabbage rolls from a Ukrainian lady in my town. I have always wanted to make them myself and now I feel I can. I like that your mixture has alot of meat in it. And the frozen cabbage sounds simple enough. When I layer my rolls in the roaster I spread abit of sauerkraut amongst them (especially on the bottom of the pan) as well as the tomato sauce. Keeps them moist and helps them to not stick to the pan. Thank you! I LOVE your recipes. I am going to make some of your stuffed buns for the family's school lunches as well. So clever. I love this site, it's great! However, these beautiful recipes are new to me and I sometimes can't tell if I'm feeding an army or just a few people. With this recipe, how many servings do you expect one person to eat and how many (approximately) does this make? Thank you and I wish you continued success. Thank you, It is sometimes hard to know ourselves since these recipes handed down don't have those particulars. I have made this recipe when our whole family is home. ..there are 6 of us. . and there is easily enough for another meal. . so I would say this recipe would feed 10. I would count on two per person. I made your cabbage rolls this weekend. They were wonderful - thank you for the recipe! There is only 3 of us so we have plenty of leftovers - I froze about a third of them. I think I will add some grated zucchini or chopped spinach next time just to kick up the veggie content. My son is 4 so I'm always looking for ways to get in more veggies! He loved these by the way! I'm so glad I found your blog Friday, it's nice to find so many homey recipes. I love cabbage rolls, and yours look wonderful. My grandma Thiesen's were similar, but after rolling them up, she fried them in shortening until the cabbage was golden brown. Then she baked them with a gravy made from the drippings and tomato sauce and milk. I have never used the savoy cabbage. Next time, I will give it a try. Thank you for sharing! I just came across the "cabbage rolls" & also make them like your grandma Thiessen does. Well, almost - I brown mine in oil but then use the drippings for gravy but do not add milk, some tomatoe juice,some pickle juice, some brown sugar, etc. - in other words, "to taste". I love reading what others have done too, thanks!!!!! These sound delicious! The freezer method for the cabbage is fantastic! I didn't know about it. I am planning this recipe soon. Thank you. I do things a bit differently with my cabbage rolls...I do the frozen cabbage, but instead of rice, I use mostly cooked barley, or a mixture of barley and rice. I also make more of a sauce to cook them in, with canned diced tomatoes, tomato soup, mushrooms, onions,chopped green pepper and a shot of worcestershire sauce. It makes a delicious sauce for the cabbage rolls. Everyone has their own little variations, so just thought I'd like to share mine. Hey thanks for this recipe. I'm going to cook them tonight, I'm cooking my wedding reception dinner for this Saturday, thats about 140 cabbage rolls. cabbage rolls are great when cooked with a little dill yumm!!!! cabbage rolls are delicious with a little dill cooked with them yumm!! I love these but I'm too lazy to make them. We keep packages of scramble fried beef in the freezer, in one or two cup packages. 1 pkg scramble fry beef. Water - according to how much rice and what kind of rice you're using - just read the package directions. Combine all in large pot to cook on the stove-top or in a roaster/casserole dish to cook in the oven. Cook on medium heat for up to 2 hours. Check moisture level often after the first hour. Add more juice or water if required or leave the lid off if it's too juicy and the rice is cooked. It has taken me longer to type this than it does to throw this together. You can cook this on a higher temperature if you watch it closely and it can be done in an hour after you get in the door, OR, you can cook it longer on a lower temperature while you're doing laundry or some other task and you have the time. Very Lazy Working Woman's Cabbage Roll Casserole. Lovella, I made these last night for dinner and they were outstanding. I added one finely crushed clove of garlic to the meat mixture and it was so delicious. I served these with the air buns from the Baking with Yeast recipes. Those buns wonderful and so easy to make. I put the leftovers in the freezer for laster. Thanks so much for all these outstanding recipes. I've never made cabbage rolls ever! And these are truly the best I've ever tasted! I didn't have chicken broth so used beef broth. I also used a bit of tomato sauce instead of juice and added a splash or two of Worcestershire. Heaven!!! Thank you for this recipe! I have one I've been making for years but yours sounds so much simpler and I love the tip about freezing the cabbage and letting it thaw, I'm sure it is easier to work with that way. I will be trying this recipe very soon. 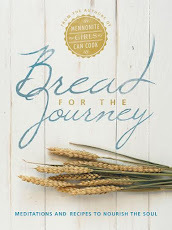 I love your recipes and your blog! I am following you over at summdaysummway.blogspot.com . I would like to post this recipe there and link it back to you if you don't mind. Thank you for a wonderful blog! This looks AMAZING! I feel silly asking this - but is the meat raw when mixed with the rice and stuffed in the cabbage? Or is that pre-cooked too? Looking forward to making a bunch of these to stock in my freezer. YUM! The meat goes in raw, it cooks in the sauce at 325F for two hours. This may be a silly question, but after you cook them the instructions say to refrigerate or freeze the cabbage rolls. Do you need to do one of these as a final prep before you eat them, or can they be served right out of the oven? 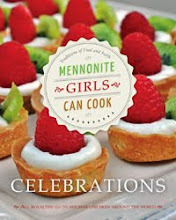 Great recipe , but isn't it kinda ironic that Mennonite recipes are online? I made this recipe and followed each step, missing nothing. The cabbage rolls were good but the sauce tasted like chef boyardee pasta - yuck. I wiped off as much of the sauce as I could and then made a homemade marinara sauce and poured it over the top. It didn't make a great cabbage roll, but was far better than the recipe suggested. There was so much cabbage leftover, but since it was frozen there wasn't much I could do with it. I fried some onions, sliced the cabbage, and mixed in apple cider vinegar, mustard seeds, and a little salt and brown sugar. Turned out pretty good too, homemade sauerkraut. I you're looking for homemade cabbage rolls, keep looking. Angie...I am so sorry you found the sauce so disappointing. I don't quite know what to say other than to apologize for your disappointment. I freeze my cabbage...works well! BUT, I always cut the core out before I freeze it, as it make for quicker thawing. Leann. I would like to try my hand at making and selling cabbage rolls. Would the cabbage rolls be better for the customer to cook or do I cook completely. I would cook them completely before selling them. I don't think I would like to take the risk of selling raw meat. At home I cook them completely and then freeze them to reheat later. I find that they taste even better reheated. I've made cabbage rolls before but find it so much work with boiling the cabbage. Last night I made them with the cabbage that I had froze the night before, Wonderful! worked like a charm! Saved so much work and mess that I'll make them more often now. Thank you so much!! This recipe is SO amazing!!! I make this one at least once a month. FANTASTIC! I just tried making cabbage rolls for the first time ever on Jan 1, using this recipe. They were amazing! Everyone raved about how good they were! I did not try the freezing method for the cabbage, however I cooked the cabbage in the microwave for about 12 minutes. I am getting ready to make a double batch to freeze. Thank you so much!! Was wondering why the preference for savoy cabbage over regular green cabbage for the cabbage rolls?? Just curious. Sharon, I find savoy cabbage leaves easier to work with. It really is just a preference. I tend to look at which cabbage looks fresher. Thanks, made these as per the recipe - except I had to add a bit of garlic. They were outstanding. I will try them with the green cabbage although I like the savoy as I think the leaves may be a little thinner (and as you say easier to work with) and not quite as strong tasting. But cabbage of any kind is a favourite of mine. Good morning.. Thank you for this recipe posted. what would be your opinion to make the cabbage rolls with Chinese napa cabbage ?? 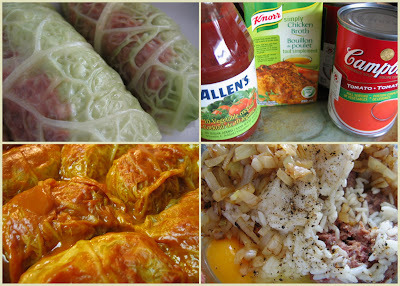 Love Cabbage Rolls..... My Mom would use Campbell's Tomato Soup too, but she added Dill with Sauted Onion to the rice. No Beef in the rice. Chopped Bacon on top with the Soup. Thanks for the inspiration! I see that several people have commented on the sauce - I used 1 can tomato paste, 1 can tomato sauce, 1 can diced tomatoes (pureed) and 1/3 cup sun dried tomatoes and it tastes like I remember from home meals. Hulapse was my favourite meal my Mom prepared (well, her sauerkraut soup was right up there too)! Also used ground turkey for a leaner meat and added some garlic, sage and thyme. In the oven right now - can hardly wait to have these tonight when my lovely wife comes home from work. 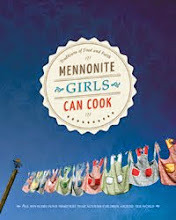 An ex-Mennonite boy who loves to cook!! is covered. Seal tightly with saran wrap and place in microwave on high for 20 minutes. Remove from microwave and let steam for another 20 minutes. I usually have a 2nd cabbage ready to go in. Drain water, peel off outer leaves and trim up the centre vein. If leaves closer to core are not pliable enough repeat for another 10 minutes in water in microwave. Much safer and certainly faster. I take the time while the cabbages are cooking to prepare the rice and meat mixture. Can usually have 75- 100 cabbage rolls made and in the freezer in batches for cooking in the crockpot at a later date in under 3 hours. My Grandma made the best! I love them! I'am trying your recipe tonite. Can't wait to see how they turn out. Love the frozen cabbage idea. That was the worst part of making them. Thank you for the recipe.